With spring weather comes great cycling in Texas. 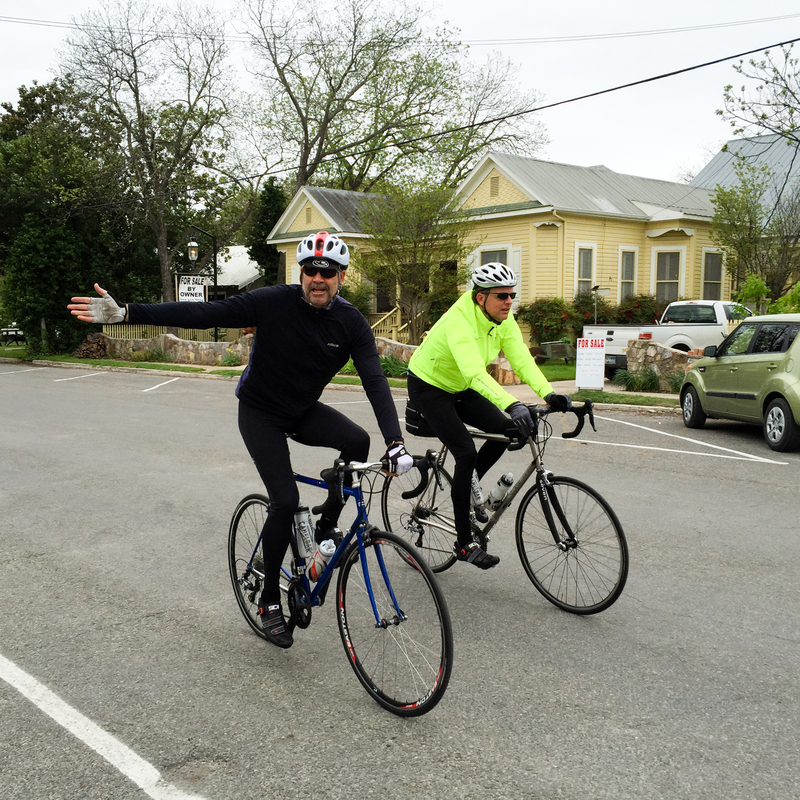 Two of my favorite organized bike tours are the LBJ 100 and the Easter Hill Country tour. Both of the rides have come and gone at this point but I thought I’d jot a few notes and a couple photos. This will be my 5th LBJ ride if I’m counting right. The ride starts at the LBJ ranch. 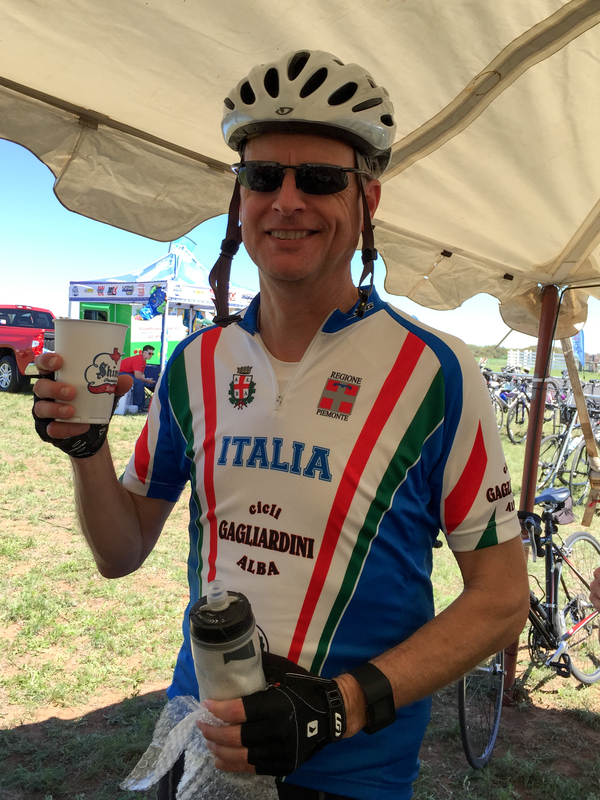 I’ve written before about the logistics of this ride and this year things were just as well organized. There was once again a bit of speechifying at the beginning but not much and we were soon on our way. Price for registration was again $50 ($55 last min) though this year they didn’t even include the shirt for that. At least not at the packet pickup I did at REI. Thankfully there’s good support on this ride and good food/beer after but I’ll note once again it seems like an expensive ride despite the charity nature of it. Ride attendance was very good. I don’t know the count but it seemed like a thousand people were at the start. Maybe it was only hundreds but sure seemed like a lot. You can see a photo here of the group at the start. You can also see in that photo at the start that the weather was picture perfect. Temp was also great. I was cool enough to be wearing leggings and a long sleeve but that wouldn’t last long. It was going to warm up. It didn’t take more than 5 miles from the start to also realize that wind was going to be a factor. Wind was stiff coming out of the southwest. That meant you were either going into it or had it as a cross wind for much of the ride. There was of course a few miles near the apex of the loop ride where you got a tail wind and that was fantastic. But the last 20 miles was into the wind. I counted ourselves lucky the temp was so good and it was otherwise a beautiful day. The photo at the very top was at the end of the ride heading back into the LBJ ranch. 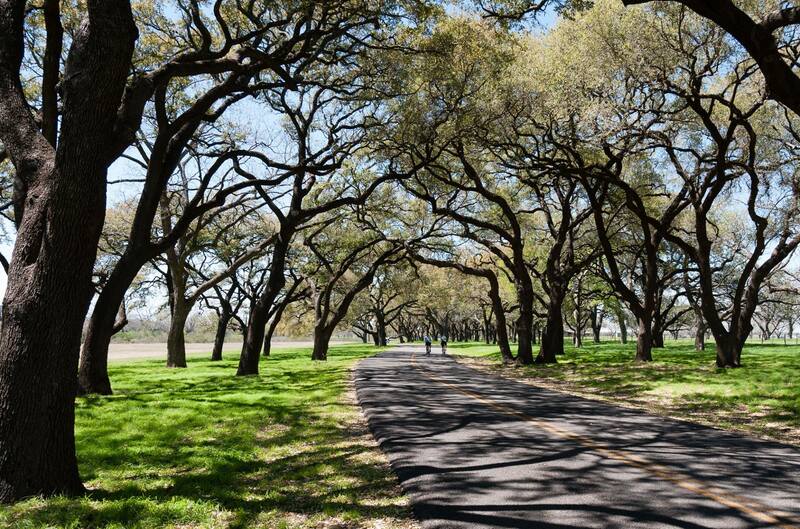 The Live Oaks there on the drive in are beautiful and their shade covers the road. Post ride there were tacos this year – and some tasty beer. Can’t recall what the beer was but it hit the spot as you can see by my goofy grin in the pic here. It was refreshing. I’ve been doing the EHCT on and off since the 90’s. The bike tour has been around a long time. It’s still based out of Kerrville and for whatever reason, this year it seemed to have a bigger crowd than last year, at least judging by the number of cars in the parking lots. It’s otherwise hard to tell how many people are doing the ride because there is no mass start. 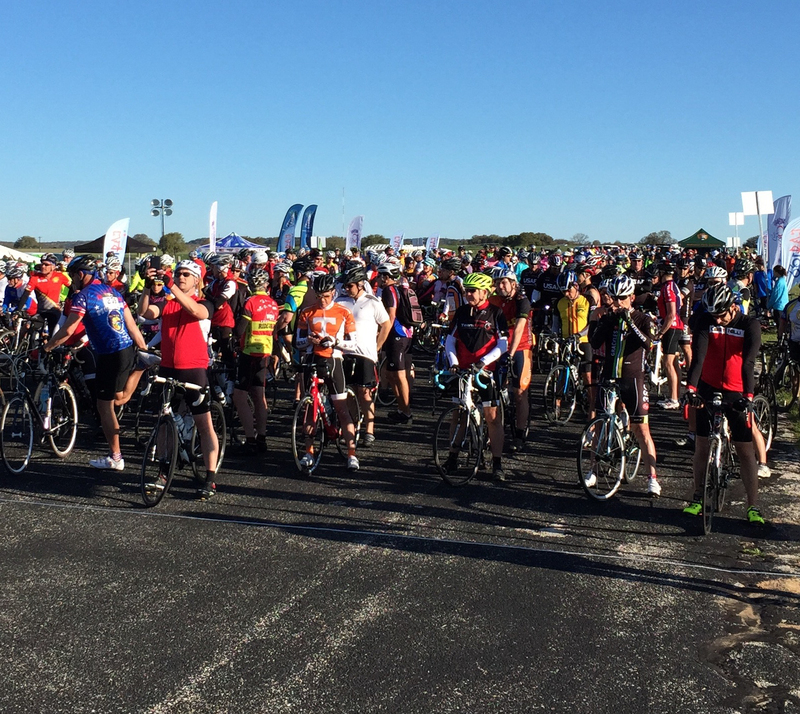 There are 3 days of riding – though I generally do just the Fri and Sat rides – and people take off whenever they’re ready. On both days I chose to alter our routes a bit from the published ones. The problem with cycling in the Kerrville area in my opinion is the roads have more traffic than the remote roads up around Fredericksburg. So the Friday ride in particular had a long stretch on the return leg of the loop ride on RR 783. Not my favorite. It’s heavily traveled. So instead, we got the same amount of mileage in by simply making the ride an out and back. By contrast, Zenner-Ahrens Rd is a quiet country road with loose livestock and lots of cattle guards. Almost no traffic – ‘cept bikes and cows. 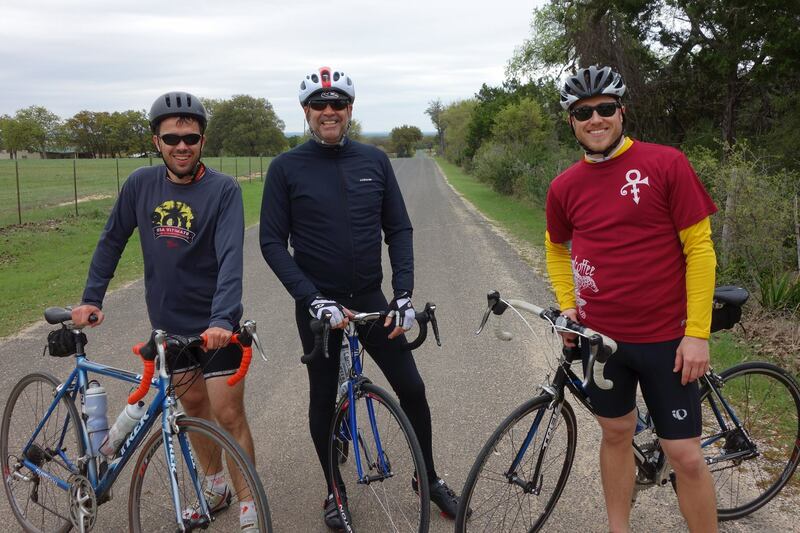 On Saturday Peter and Bryan joined Tony and me for a longer 55 miler. It too was a hybrid route because I refuse to ride on Hwy 27 for anything but a short distance. Way too much traffic going 70+ mph. Instead, we took Wilson Creek. The photo of the three guys below was taken on Wilson Creek. Obviously you can see you don’t have to worry about traffic on that road. It’s a great road to bike. The other photo is of me and Tony coming into the little town of Comfort. As you can see the weather was still cool enough we had plenty of gear on. And obviously Tony noticed that Bryan was taking the photo and I was oblivious. Or, I knew the rest stop was just ahead and was making a bee line for the snacks. Wind was a factor on that Saturday ride. We slogged against it all morning to Comfort and then a good portion of the ride back from Comfort. Winds were out of the NE so it wasn’t until we were well past the apex of the ride and practically 10-15 miles out that we picked up some of the tailwind. That last section of the route from Comfort back to Kerrville is quite hilly though so the tail wind was only so valuable. All in all, good rides both Fri and Sat. And we lucked out with no rain. Just some drizzle on Fri. 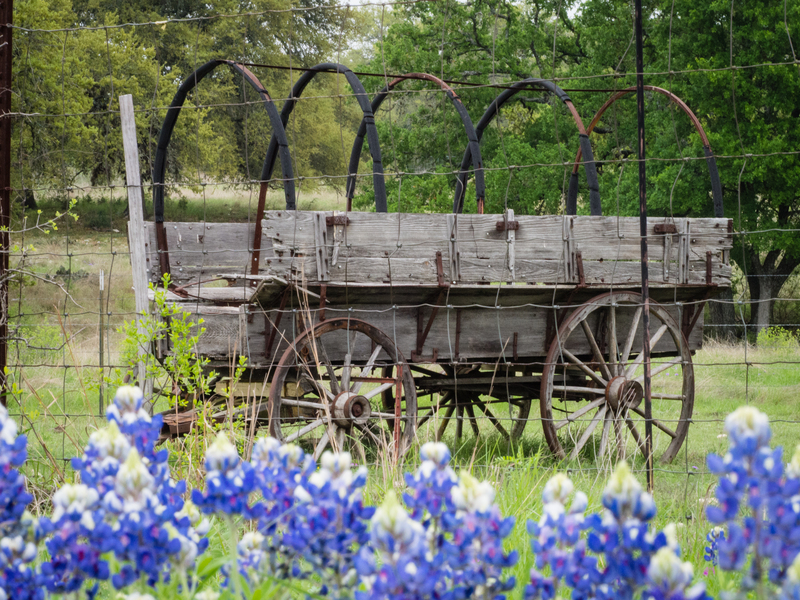 This one last photo of the wagon was taken on the drive back to Austin from Kerrville. Actually, on the road – Ranch Road 473 – between Comfort and Blanco.